I always liked the way the Phillies broadcasts sound over the air over the years that I’ve been watching baseball. My personal viewing goes back into the 1970’s when I was a kid, I will always remember the voices of Harry Kalas, Richie Ashburn, Andy Musser, and of course Chris Wheeler. Wheeler is still on the broadcasts, he’s the only one left still doing the broadcasts from the days when the Phillies had some great years in the 1970’s as well. Chris understands baseball like the back of his hand, he recently authored a book on his experience and you can find it here. It tells you all about Wheeler’s 40 years of being with the Phillies organization. 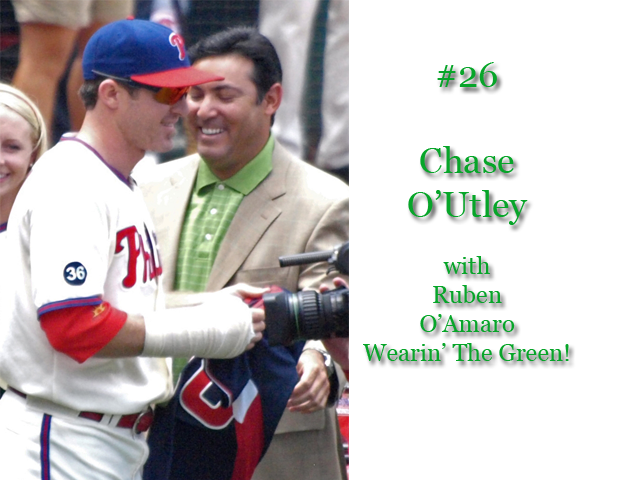 We even talked with him on the ‘Phillies Talk’ Podcast about his times with the Phillies and the book, the show is overall one of my favorite podcasts that we’ve done so far, find the show with Chris here. Here’s a couple of questions that Chris answered for FightinPhillies blog yesterday about the 2011 season with the Phillies. The Phillies team of 2011 is loaded with pitching aces, is this the best rotation the Phils have ever seen? 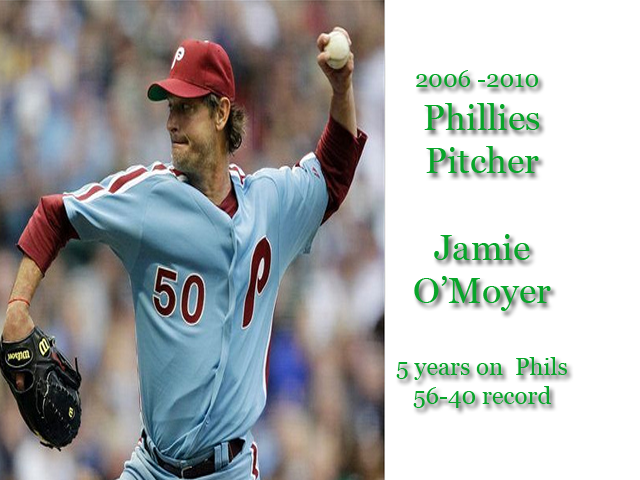 This is by far the best starting pitching the Phillies have had. When you consider Joe Blanton is the #5 guy, it's set up pretty well to keep a team in the game. I can't think of a close second to match this depth and talent level. Hopefully they will remain healthy and productive. The Phillies did not have an encouraging Spring Training with all of the injuries, can you think of a Spring that was worse for the Phils? I can't think of a spring training where there more serious injuries. I imagine the team has come out of Florida with question marks involving injuries other years. However to lose the best second baseman in the sport, a closer like Lidge, and a prospect like Dominic Brown is a boat load. And a real challenge to pick up the pieces and move on and have another championship season. Getting to a World Series is one thing, winning it is another. What makes a team great enough in baseball to reach the World Series? I think making the post season in baseball is the toughest of the four major sports. The reason is pretty simple. A lot more teams make post season in the other sports because there are more opportunities. In baseball, you must win your division or capture the one wild card available in each league. I think Charlie Manuel is right when he says the team, that plays the best baseball over the course of a long season keeps on playing. Hopefully that will be the Phillies again. I want to thank Chris for taking some time out of his busy schedule to answer a couple of questions here on the blog. Hope you the readers, like it as well. The Phillies season is starting up in just one more day, they should get the game in, but it will be interesting with the weather forecast being so close to us having snow. Not all together great weather to start off the season. The mystery has been solved. Jayson Werth's replacement is now known for sure. It is Ben Francisco, the utility player that the Phillies acquired in 2009 when Cliff Lee and Francisco came to the Phils from the Indians when Ruben Amaro Jr. emptied the Phillies minors of all of it's top prospects. The Phillies gave the Indians: Lou Marson, Jason Knapp, Carlos Carrasco, and Jason Donald in that deal. In hindsight, it now looks like a great deal as none of the then 'hot' prospects the Phillies traded has risen to the top and got much attention since. The 'value' of a prospect is an interesting subject, a lot can be said about a certain player by the experts that teams pay and outside analysts and still the player can turn out to be a bust. Francisco is matched up in Baseball-Reference for players most similar to him at age 28 to a certain few players that we know a lot about. One of them is Wes Chamberlain, and at the bottom of the 10 players listed is a player named Jayson Werth. That is what you don't know about what a player will do in the future when given the chance to play. Francisco has been primarily a bench player, but his is said to have the same statistical match up as Jayson Werth. Werth wasn't a top prospect when the Phillies acquired him, he had already been in the league a few years with the Blue Jays and Dodgers, he didn't seem to be ready to turn into the player that emerged in the last two seasons with the Phillies. When Werth was on the Dodgers, he was injured in 2005 in the beginning of Spring Training, this caused him to miss the entire 2006 season, and the Dodgers let him walk after he became a free agent. That is another interesting thing about baseball, things like Jayson Werth's sudden acceleration to semi-superstar status has been unpredictable. Maybe the same thing can happen with Francisco? Francisco does have power, and if harnessed, he can develop into even a better overall player. 42,558 fans watched the Phillies beat the Pittsburgh Pirates last night, as the Phillies returned to town for the "On Deck" Series. These pre-season type games don't usually fill up as this one did and as it will today in the 1:05 pm matchup. This town has Phillies Fever, that is for sure. It's been a long cold winter my friend, oh by the way... snow in the forecast for Opening Day with temps into the 30's? That just isn't right. The Phillies have always had zany promotions to welcome Opening Day in the past. Not so zany since they've moved to Citizen's Bank Park though in the last 7 seasons, with this one starting up the 8th season for the Phillies at CBP. In years past at Veteran's Stadium though, the Opening Day promos were as zany as could be. If you're old enough, you'll remember, "Kite Man". A guy outfitted in a flying kite suit convinced Phillies management to let him fly down from the highest heights of the Vet and glide into the playing field to welcome the Opening Day of the season with a 'flutter' so to speak. It also was kind of a daredevil type of circus act. It served the purpose of help spreading the message that the Phillies were back in town, and maybe you should come out and see them. 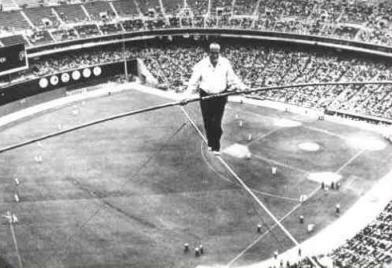 This was a more recent antic, but even as far back as 1972, saw the Phillies open the season with Karl Walenda, who was a great tightrope walker, walk across the Vet from the 700 level. Everyone loved to watch tightrope walkers in the 1970's and 1980's. The "Great Walenda's" are still in business today, it's a family that still does tightrope walking. Karl passed away in 1978 from a fall on a tightrope walk he did in Puerto Rico, after he fell it was discovered that the guide wires were misplaced which caused his unbalance to make him fall, he was 73 years old but that didn't contribute to the cause of the fall. All this said, local rock radio icon, John DeBella, will do an Opening Day antic this year that is a little more tame but equally enjoying to hear about. DeBella and three local religious figures will bless the baseballs that the Phillies use on Opening Day in a 8:30am morning ceremony at Citizens Bank Park. You can take part in this and bear witness to this as well! It's the 4th Annual edition of this "Blessing" event now, but it's getting more attention every year. WMGK 102.9, Philly's classic rock station, is the sponsor of this event. They will also be hosting a big tailgate party at the Jetro Parking lot, (Darien Street across from the back of the Linc) there will be a band called 'Final Vinyl' and free food. WMGK personality Ray Koob will be hosting that. The station will be giving 500 free stays in Atlantic City as prizes also. So check it out and have some fun. It's Blessing The Balls of Opening Day with John DeBella. Here's the station announcement here for you to read. 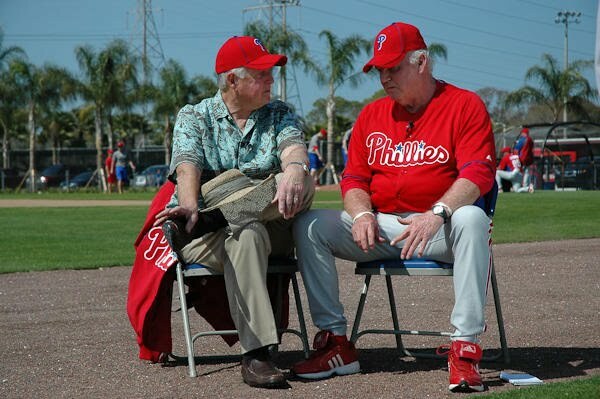 The Phillies spring training season went by very quick in 2011. Here near the end of March, the Phillies return to their home today and will start off two games for the on-deck series with the Pirates on Tuesday night at 7:05pm, and Wednesday afternoon at 1:05pm. When I say the ‘new look’ of the Phillies, I just don't mean the addition of Cliff Lee. The group that will be leaving Florida tonight, is one that Phillies fans didn't expect to see when the season opens this year. Injuries have taken their toll on the team already, and I think the overstated optimism of the preseason look at the Phillies has been dulled a little by the recent spate of injuries to affect the Phillies team. 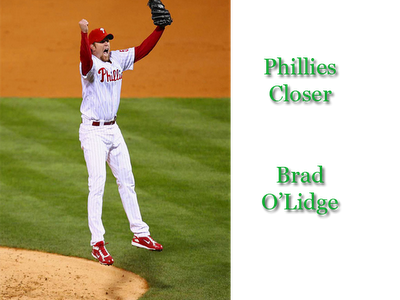 The Phillies will head north without a named closer, Brad Lidge will start the season on the DL as will Chase Utley. Jayson Werth's replacement in right field, was supposed to be Domonic Brown, he is also down due to injury. The right-field spot will probably be inhabited by either Ben Francisco or Ross Gload. I would like to see Gload a chance to play every day, he seems like he could carry his own in right field and at the plate, all he needs is a chance. At second base, who would've thought we would be seeing Luis Castillo playing second base for the Phillies on opening day? This appears likely now, it's nice to have a glove like Castillo's out there on the field, I am not expecting him to tear up the offense, the rest of the team will have to pick up for that. So on this final day of spring training 2011, we look back over the spring training season and see that it hasn't been kind to the Phillies. I never like to look at the wins and losses of spring training, but I did notice this year there was more losses than I care to see from this team. That's the funny thing about baseball it's still a human game and human things happen during the course of these games. There is no way to predict it or know what is coming next. This team had a lot of high hopes before spring training started and I hope some of them come true during the season. Joe Owens from 'The Express-Times' and Lehigh Valley Live.com offers 5 reasons why the Phillies will win the 2011 World Series read about it here. Phillies fans were up in arms when they heard that Cliff Lee was traded before the start of last season. The news that we were getting Roy Halladay was awesome, but we were all sad to see Cliff Lee, who had been so spectacular for the Phillies, leave this team the way he did. 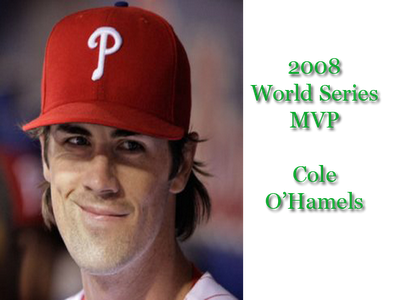 Lee was a one-man wrecking crew in the 2009 World Series versus the Yankees. He almost pitched like he was superhuman, and the fans recognized him and talk to him right away. 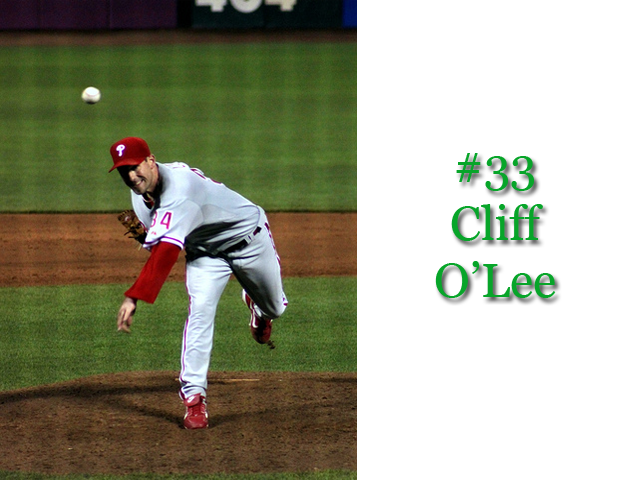 Cliff Lee has a great personality, he is approachable and likable and he gets the job done and is at the top of his game in the pitching department. 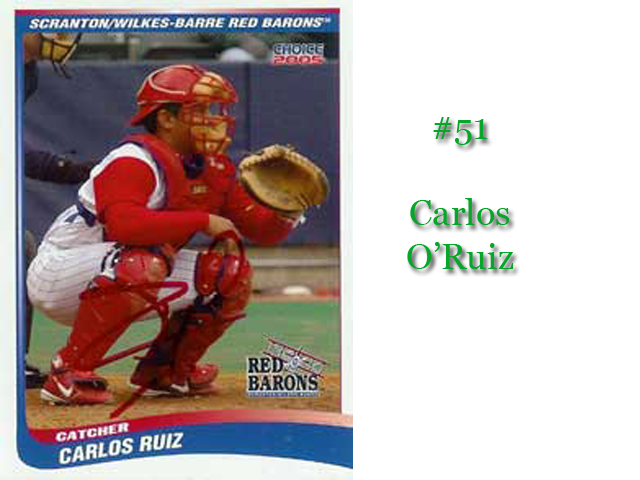 He is also a welcome sight back on the Phillies team that now boasts 4 legitimate aces on the team. Lee has said he never wanted to leave Philadelphia, it wasn't his choice. And he chose to come back here from Texas, when he could've gone to other teams at his request. In this edition of Philadelphia magazine for April 2011, you will find a lot of articles centered around the Phillies and the 2011 season. There's even an ode to the fans of the Phillies, which includes a kind of notorious fan named Susan Finkelstein. She was a fan who was arrested in 2009 by an undercover cop and convicted last year of attempted prostitution, when it was alleged that she would trade certain services for Phillies World Series tickets. The article has her clutching a World Series ticket with her teeth and not wearing much else in the process. This is Philadelphia what do you want? 61% of voters answered a poll by Philly mag regarding Jayson Werth's hair, and who will make up for his hair now that he is gone. The winner was Chase Utley, as readers expect him to change his hair design this year, we'll see what happens with that. 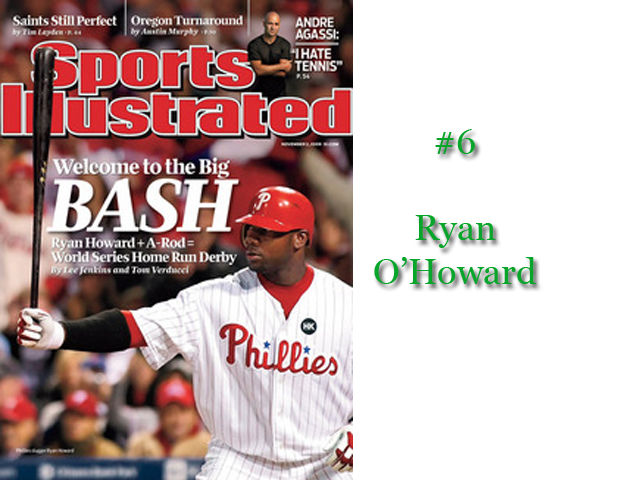 Another vote by Phillies fans in this additional Philly mag, had them voting for their favorite Phillies announcer. Larry Andersen won that vote, but I was surprised how low the vote was for Chris Wheeler, who has been in the Phillies broadcast booth for years now and is a very nice guy. He may not always be perfect on the air, but that's what makes him human, and I like that. So if you want an interesting read on this Phillies season that starts in a few days, grab your edition of Philly magazine off the newsstand today you'll really enjoy it if you're a Phillies fan. The Phanatic is known for his antics, and he'll be no different for 'Paint The Town Red Week', here's a funny clip when the Phanatic wanted to arrest David Wright of the Mets! The week leading to the start of the Phillies baseball season is a fun one. Even when the team didn't enjoy the successes it enjoys now, the week before Opening Day was a ray of hope, and signalling the end of winter and the start of our national pastime. It's a time for fun around the Philly/NJ/Del area when the fans get alerted that it's almost time for another baseball season to start. 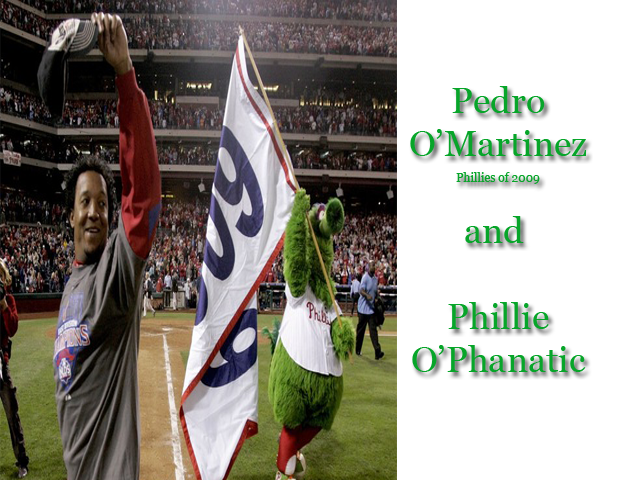 The events planned around 'Paint The Town Red' Phillies 2011, will unfold starting today with visits from the Phanatic. Visit the Phillies website here to find out the whole schedule. Sunday's festivities are at the Independence Visitors at 6th and Market starting at 12 Noon. Today marks only one more week to the start of the 2011 season for the Phillies. All of the offseason hoopla with the signing of Cliff Lee, it seems like a long time ago since that has occured. Now it's getting close to the time to get down to business. I am not so sure that everyone who was as ecstatic as they were back in December is all that ecstatic now with the health status of Chase Utley and doubt of who will be in right field and how they will contribute to the team. The Spring Training season has had it's ups and downs for this team. Injury has snuck up on the Phils like a really bad dream. It's part of a baseball season, but it's not what we expected when the spring training. What the future holds for the Phillies past Opening Day is anyone's guess. They really haven't dominated teams in this Spring Training, and with the exception of Roy Halladay and Cole Hamels, there really hasn't been a standout on the team in the spring. The Phillies have molded themselves after the style of the New York Yankees in the past couple of years. The team has gone out and signed several big money free agents and have signed their own superstar talent to multi-year deals that stretch out for years after the team won the World Series in 2008. The team that won it all in 2008 is drastically different from this year’s team and last, we’ll see if that helps the Phillies capture their third championship in franchise history in 2011. The Phillies have spent a lot of money on the team they have assembled this year, their payroll ranks up in the top few teams as far as the amount, but in a recent post from Forbes.com has put the Phillies as the 6th richest team in baseball at $609M. Read the full story on all the MLB teams and players here. The story also talks about all of the problems that two MLB franchises that Forbes has ranking above the Phillies, the New York Mets and LA Dodgers. Both of those teams have excellent worth of the teams, but the owners are in deep in debt and it doesn’t look too good for either owner personally. When you take into account that the Phillies were purchased by a limited partnership in 1981 for $30M, you can see that this was a very good investment for the group and one that is really blossomed. The overall valuation of a team is comprised of several components. The value of the stadium, and other items go into the overall value of the team. Read the individual breakdowns on the Phillies by Forbes here. This report is something that Forbes does every year about this time, it’s an interesting read for sure. The next time you buy a ticket to the Phillies game, you will have contributed to the empire that the Phillies have become as an overall franchise. Good thing these owners didn’t sell in the lean times, when the Phillies aren’t doing as well as they are now. The Phillies are now a money making machine! 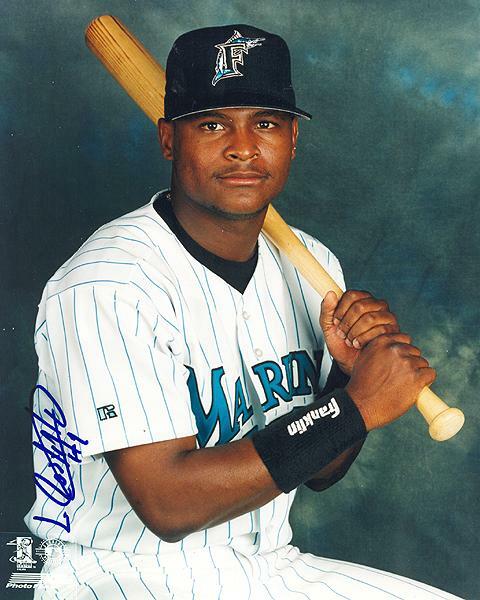 It was probably really tough for a guy like Luis Castillo to accept a 10 day trial contract from the Phillies. If he is still playing, he obviously feels that he has something to offer a major league team. The Phillies seem interested in his services, but they want a trial period to make sure. I am sure Castillo can still field, can he hit? That remains to be seen. The Phillies seem to want to have the best of both worlds, and still get a player on the cheap to fill what could be an interesting season for Chase Utley. The Phillies find themselves in a bit of a quandary. You're not going to get a guy for has all the talents that they need to fill Utley's shoes at a cheap price. Settle for the defense of Castillo and the occasion hit and you may just be alright though. Don't feel too bad for Castillo though, the Mets still have to pay him $6 million for this season, even though they cut him loose. Some average fans won't even make that much in their whole careers, yet they go to the ballpark and support the sport and contribute to these huge mega salaries. More on this throughout the season, on the money aspects of the MLB. We're on the countdown now, less than 10 days to Opening Day and they're talking that 'S' word in the Philly area. Yes, Snow! and Sleet possible in the a.m. today in the Philly metro area. find us on iTunes or right here on the blog, we're looking for sponsors for the show this season! Opening Day at the ballpark is always a really special day. I always hear the song, "The Boys Are Back In Town" on that day on the radio, and if you're at the ballpark, it's electricity in the air. If you can't be at the ballpark then Comcast has you covered for the Opening Day events.They won't be carrying the Opening Day game, but they have a lot of coverage before and after the game and the first night game televised which in the next night, Saturday night, April 2nd at 7:00PM. New game enhancements for the 2011 Phillies season include the introduction of “Ultra Mo,” the latest HD technology that is capable of showing slow-motion replays of over 2,000 frames per second. Additional new enhancements include an all-new graphics package and score bug which will provide pertinent information using the latest technology in a viewer-friendly format. Leslie Gudel, Marshall Harris and Jim Salisbury team up for expanded Phillies coverage during the 2011 season. As CSNPhilly.com’s Phillies Insider, Salisbury will report on the team both at home and on the road, providing feature stories, video blogs and Phillies chats for the website. Gudel and Harris will provide coverage on-air and online, including exclusive interviews and feature stories on the players, coaches and personalities that make the Phillies tick. Harris will also host Phillies Clubhouse this season. Fans can follow Salisbury, Gudel and Harris on Twitter at @jsalisburyCSN, @lesliegudel and @omarshallharris, respectively. PHL17 will have a lot of programming on as well, stay tuned for the details. Bloomberg Sports debuted last year with an awesome first year edition of it's statistical offering for Fantasy Baseball lovers everywhere. It's not something you buy at your bookstore, it's right online for you to use all season long in conjunction with MLB.com. 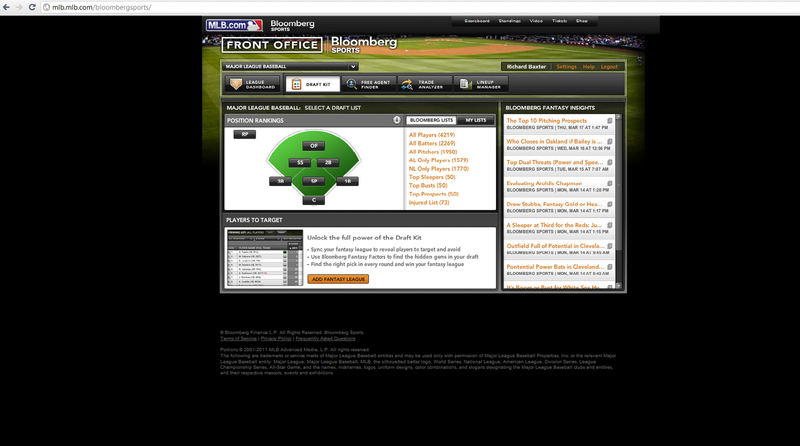 This new and improved over last year's version is called, 'Front Office Baseball 2011'. 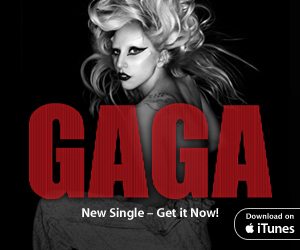 Just go to the site from our site and you'll get a free 5 day trial with no strings attached. Learn a lot about who the best players are with the easy to read format that Bloomberg has developed with this awesome program. Have your own fantasy league loaded into the program and keep track of what all of your players are doing in an easy format. It even automatically loads your team when you put in your information for the biggest Fantasy baseball leagues from ESPN, Yahoo, and CBS Sports. One of the things I miss already from last year's offering from Bloomberg is the 'News Ticker' feature though, I thought that really added to the overall appeal of this online program. It really a lot of news sources like blogs and various other media outlets that aren't just the same old stuff you read in newspapers. So maybe they may bring that back in future editions of this, I don't know. There is still plenty of news to read, but I just loved the additional sources they used to have in a 'ticker' format. 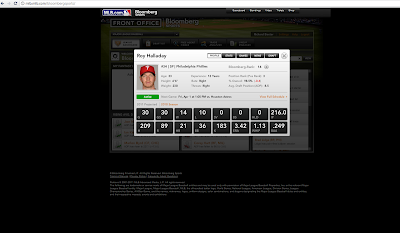 If you want to see the most up to date information on all of the players in the MLB for your Fantasy Baseball league, then Bloomberg is it. In my opinion it is a lot better than spending $8-$10 dollars on a magazine that gets outdated really quick. This tool is one you'll use all season long, so if you haven't already tried it, then now is the time. A talk with Kyle Kendrick a couple days ago reveals that he is fully capable of being a starter, but will be fine coming out of the pen. Just another reason I really like Kendrick's attitude towards team baseball. He's had a lot of wins for the Phillies in the past couple seasons, 35-24 from 2007-2010. If that's not a pretty good pitcher I don't know what is. Enjoy this interview with Kendrick, courtesy of our friends at PHL17, carrying the Phillies on TV again this year along with Comcast. One of my favorite holidays on the calendar, that is St. Paddy's Day for sure! 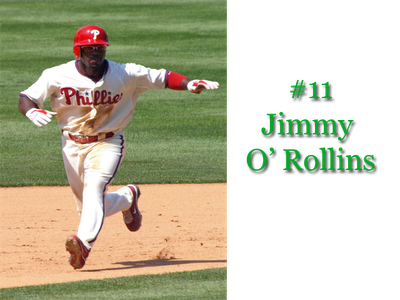 We added an Irish flair to some of the Phillies players of today and yesterday for your viewing pleasure. We're also in 'The Phield 2011' which is the battle for blogs in Philadelphia, just send an email to thephield@gmail.com and put only 'Round 1' in the subject line, and then 'FightinPhillies' in the body. Your vote is surely appreciated, and if elected winner, I'll wear the Blogger's Crown for Phillies blogs and you do want to see that one, don't you? and please party responsibly, don't drink and drive. Cole Hamels, even though he won't be the Opening Day pitcher, will be starting today against the Phillies Opening Day opponent. The Houston Astros will be the first official game on the schedule that begins on April 1st at 1:05PM in Philadelphia. The Phillies open up against the Astros for a three game set starting April 1, that is sure to have ex-Phillies pitcher and ace Brett Myers on the mound facing his old team. In fact, Myers should be the Opening Day starter for the Astros as he will face Roy Halladay. A look at what the Astros have done in the offseason can be summed up in a couple words, not much. Myers most recent start in Spring Training saw him get roughed up in a start against the Boston Red Sox on 3/11/11. Myers gave up 5 runs on 6 hits before he was lifted and the Astros went on to lose 9-3 against the Red Sox in that one. The Phillies will probably also face ex-Phillies pitcher, JA Happ. Happ was a bright star in the Phillies rotation and was moved to the Astros for Roy Oswalt at the trade deadline last year. Phillies prospects, Anthony Gose, and shortstop Jonathan Villar also were dealt. The Phillies actually got Houston to pay almost half ($11M) of Roy Oswalt's $23 million that was still owed to him for the rest of 2010 and the 2011 season as well. The mood was 'no guarantees' when the Phillies acquired Roy Oswalt last year at the trade deadline. The Phillies were in second place, 3 1/2 games behind the Braves when the move happened. Even with the addition of Cliff Lee to the Phillies, you would have to continue the 'no guarantees' mood this season. Though with this firepower, the Phillies should do very well this season as long as the offense does its job. Houston may be an ideal opponent for the Phillies to open up against this year. Wandy Rodriguez, who pitched a 5 hit, 5-1 win last year against the Phillies, will see his next Spring Training start scratched down in Florida and possibly miss his first start once the season starts. Houston has two other ex-Phillies still on the team. Jason Michaels and Micheal Bourne. The Astros finished 2010 with a record of 76-86 in fourth place, and I don't expect them to do much better this year. If we see all of the power that the Phillies throw at them in the first opening weekend, we could see the Phillies start off 3-0. The Phillies made it official over the weekend, Ruben Amaro Jr. is inked to a 4 year extension to his contract. Way to go, Mr. Amaro. Four aces and four more years! Gotta love it. A manager on a baseball team is a very stressful job sometimes. If your team doesn't perform, you could find yourself looking for a new job really quickly. 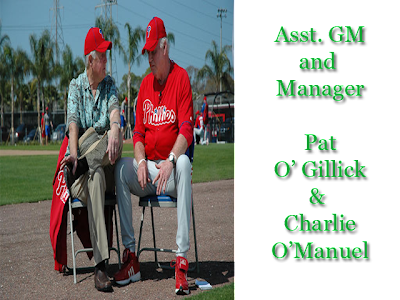 Charlie Manuel has been the manager of the Phillies since 2004, and now he is just starting to reap the benefits of the success that the Phillies have had over the past 4 seasons. He won't be confused with Joe Torre who reaped a $7.5 from the Yankees in 2007, but he will be earning close to the top salary in baseball managers at a pay of almost $3.5M to $4 million in the seasons 2012 and 2013 according to press reports. This move keeps Manuel in place for probably the rest of his career, as he is now currently the oldest manager in the MLB. Manuel has been what some would call a 'player's manager.' He's been questioned on a few of his moves over the years, but all in all, you can't argue with the success that the Phillies have had, and that is what a manager's performance is based on. You can be a great manager and have players that don't or can't produce and the spotlight will somehow be cast back at a manager and you won't last too long on an MLB team. If you would have told me back in the early 1990's that Rueben Amaro Jr. would be the GM of the Phillies in the 00's and that the Phillies would win their second World Series then, I would have though there was no way that the two would happen. 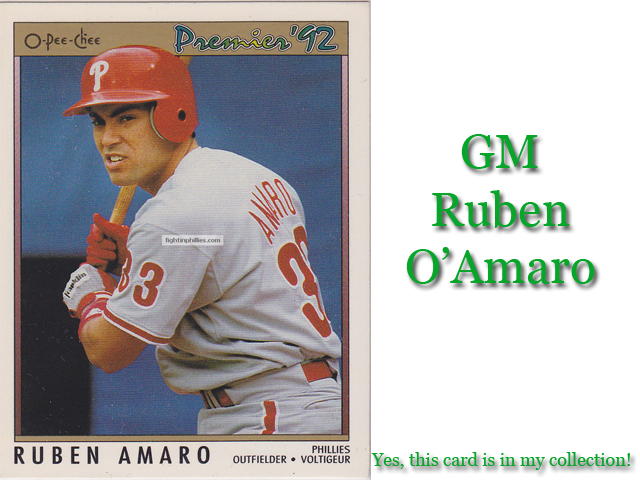 Amaro Jr did play for the Phillies, as did his father, but really came out of nowhere when it came time for super GM, Pat Gillick, to retire from the GM spot. Yes, Amaro Jr. has been in the Phillies organization and brought into the management team by Ed Wade, who really assembled the basis of the Phillies team that won the 2008 World Series. Amaro Jr. took the reigns of a team that already had been turned into a juggernaut and he is now at the helm. Amaro's turn for contract extension is rumored to happen soon. When the Phillies were signing big money free agents, Amaro would joke at the meetings that he too would benefit monetarily from the contract signings. Now with the rumored contract extension, that seems likely. Football may be headed for a lock out, but MLB baseball is just chugging along. The days of $20-25 million dollar ballplayers and the most expensive price that the Phillies have ever charged to see a baseball game our upon us. How long baseball in Philadelphia will be as popular as it is now is anyone's guess. The city loves a winner, and that is hopefully what the Phillies will keep continuing to produce. Roy Halladay is one serious baseball player. You can see it in his interviews, he is always talking about having fun, but he goes out on the mound to destroy opponents and that's just what he did to the Yankees today in Florida. Halladay's preparation to get ready for the season is already legendary. He is usually the first guy there in the morning, and goes to work like a well seasoned machine to prepare for his starts against any opponent. The result against the Yankees was a 7-0 victory, and that was against C.C. Sabathia. The Phillies have been counting on seeing Domonic Brown possibly play right field this season, but with the injury to him now it seems like the spotlight has switched to John Mayberry though the smart money is on Ben Francisco to get the opening day duties and it will be his job to lose. Only three weeks now to Opening Day, it's gonna be an early opening day and with the weather we've been having in the Philadelphia area, we're preparing for just about any kind of conditions with the lingering cold that just doesn't seem to want to let up. Roy Halladay has been named the Opening Day starter, a task that he has earned. It's no surprise that he is going to get the ball for the first game of the year, especially after the stellar year he had last year. Here is an interview with Cliff Lee, courtesy of PHL17 - he talks about fine tuning his game in Spring Training, and how he feels so far in the first few weeks of camp. Don't forget about Cole Hamels either, I don't usually get excited by anything that goes on in games in Spring Training, but Hamels hasn't allowed an earned run yet in the Spring Training schedule, he pitches today against the Orioles. 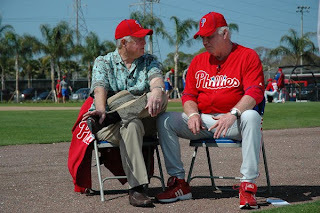 The saga of Charlie Manuel's contract drags into March now that nothing is finalized to keep the skipper in town for at least another season or two after this year. It's really one of the stories this year, that hasn't gotten the attention it should be getting in the press. You have one of the more successful managers in baseball for the Phillies, and the Phils upper brass seem like they want to play hardball with Charlie on what could arguably be the last few years in baseball for him, as he is 67 years old. The Phillies may be styling themselves after the NY Yankees when it comes to acquiring free agents, but they seem less inclined to take care of Manuel to make him one of the highest paid manager's in the league. That is leaving the Phils top management look a little like scrooge at Christmas time. The team that has everything, but now really seems reluctant to let Manuel get a taste of the success that he has been a major part of. I know the FightinPhillies.com blog hasn't always seen eye to eye with Manuel on certain moves he has made, but you can't argue the success that the Phillies have enjoyed when he has been at the helm. That is what makes or breaks a manager isn't it? Baseball managers are starting to look more like players now when it is coming to salary. Most of the top highly regarded managers are making salaries that are $4 million or more dollars. It may be a case of who is going to blink first. 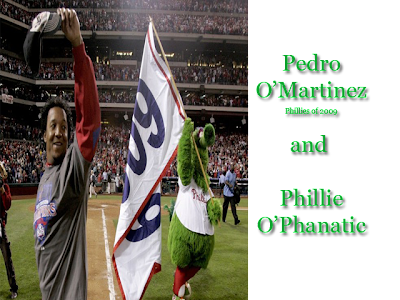 Will it be Manuel, who may settle for less than what he should be getting or will the Phillies dust off their 'pot of gold' and find some more for Charlie as it seems that nothing has come to fruition concerning a deal? This is the minor story of Spring Training, that is starting to look more major as time goes on. Click the green player to hear the show, or find our show on iTunes and download it to your iPod, or iPhone, and take us along with you on the go! 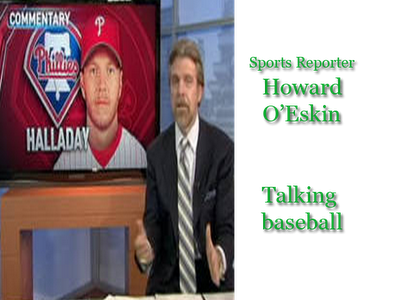 Chat with a Phillies Ballgirl tonight on 'Phillies Talk' Podcast.